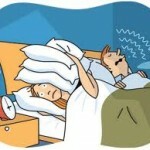 Home » Sleeping Q&A » Can children outgrow petit mal seizures? Many children with petit mal seizures (also known as absence seizures or staring spells) will outgrow them by the time they become teenagers or young adults. Depending on the source of the data, this will happen to about 40%-70% of the kids. At this stage they can slowly stop taking any medications, but still be under close supervision. There is also research which indicates that the younger the child is at the time of acquiring a petit mal seizure or absence seizure the higher the chance the child will have to outgrow it. In one example a child starting having petit mal seizures at the age of 7, which even complicated and became grand mal seizures, but still, after 3 years of medication the child outgrew the seizures and did not have any of them at all anymore. This, unfortunately, does not happen to all children and those which continue to have their seizures will have to continue taking medication and be monitored by family and doctors.